Marrying a natural marble mosaic backsplash tile and a marble-look rectangular tile may seem like a risky choice. But in this kitchen backsplash tile design, they are a perfect match. 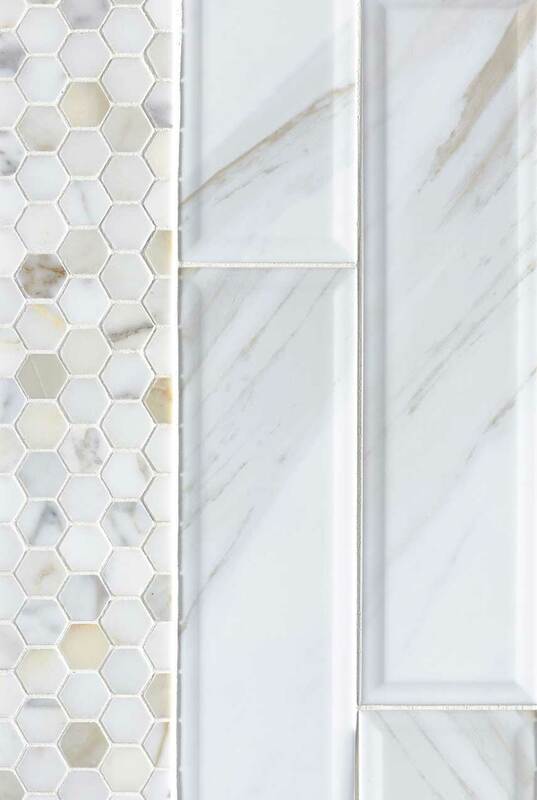 Perfect for complementing a variety of styles, this backsplash tile highlights the character and beauty of natural marble while the small hexagons add an interesting pattern and texture to the installation.